After seven weeks genuinely disconnected from the world of sports and social media, I’m finally all caught up and ready to return to the Instagram grind. But first though, I’d like to provide my reaction to the biggest headlines of Summer 2018. NBA: Starting with the Awards, I was very disappointed to find out LeBron was robbed of MVP by Harden. I may work on a story later on voicing my take on the value of MVP awards in sports. Simmons was very deserving of ROY and I don’t want to hear the “he’s not a rookie!” B.S. I was surprised with PG13’s decision to opt back in with OKC so quickly and we’ll just have to see how that duo will play out. I’m happy Deandre fled to Dallas so the Clippers could kickstart an already promising rebuild. I have no words to describe the Cousins move and I’m sure everyone else feels the same. The NBA has no parody anyway. The Kawhi trade was very surprising to me, yet his reaction and team’s decision to be a baby about it just proves my earlier conspiracy right; he’s all influenced by them and held back. Toronto did Demar dirty though, but I think he’ll strive in SA. May have to write something about the trade later on for sure. Last but not least, the LeBron move… Considering what they offered, I don’t blame him and I think this may work. Though, I am bummed that the Lakers young core of Zo, Kuz, Hart, Ingram, Randle and Mo is now overshadowed; I really wanted them to grow. NFL: Really not surprised Dez is still available. Between the ego and the drop off, you shouldn’t be as shocked. I’m shocked about the Mack news though, and really don’t know what will happen. That goes for the Shady news too as it’s seeming to look like a Zeke-saga where he may not be actually suspended for a while and it’ll all drag on. Very upset about the Guice news considering his promise. I have a ton of fantasy football stuff in store so stay tuned for sure. NHL/MLB: Not surprised JT took his talents up North to the 6. An interesting storyline will surely be how he deals with the booming Toronto media considering his calm and non-flashy persona. Hopefully this is a move that works out. Not much to say about the Machado move. He’s a stud and couldn’t be wasted in that dumpster fire some call the Orioles. 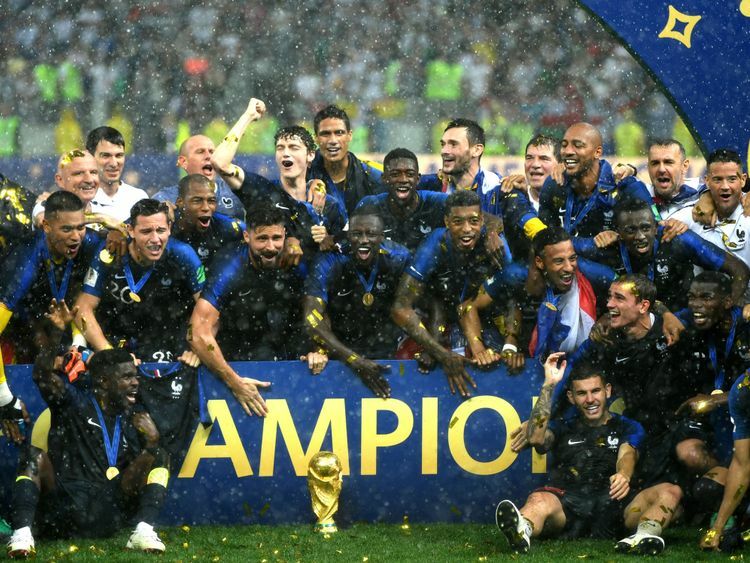 Football (Soccer): While I missed a good half of it, the World Cup was unbelievable and France truly deserved the title. What a fun, entertaining squad that has SO MUCH to come in the future with their youth. Not surprised at all about Germany’s early exit as I continuously said before that there was no way they could repeat what they did four years prior with their high age, and the increase of skill around the landscape. With the transfer window, I was happy to see Madrid and Liverpool acquire consistent, proven GK’s in Courtois and Allison. The Mahrez to City signing finally happened and should work out. Of course, the big move was CR7 to Juve for a boatload of wages. Now Buffon won’t have to lose to Ronaldo in the UCL since they’re tea… Nevermind. Poor Gigi. Hoping he finishes strong with the French giants PSG. That’s all! Next post will be my upcoming plans, and then we’ll be off and running!